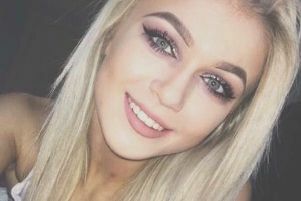 Three teenagers have died after a ‘crush’ at St Patrick’s Day party at a hotel in Cookstown, Co Tyrone, police have said. Two of them died in hospital and one died at the scene, after a crush outside the Greenvale Hotel disco around 9:30pm last night. Three people were taken from the scene in a critical condition, police said. “The last person died this morning with his parents near him and one other person remains in hospital, a 16-year-old female,” PSNI ACC Mark Hamilton said. She is in a stable condition and police said they were hopeful she would make a recovery. Police have suggested that a number of coaches full of revellers had arrived but that by 9:30pm the disco doors had still not opened, the BBC reported. To make the situation worse, the conditions outside were wet and cold. Many young people were believed to have been in attendance at the party. It was initially reported that two teens had died but at a press conference this morning police later confirmed that a third teen had now died. At 9:30pm last night the emergency services were called to reports of “children or young people being crushed and also reports that there may have been some fighting”. It is understood the ‘fighting’ may have been teens struggling to free their friends from the crush. Over 13 police crews, 21 firefighters, six ambulances, paramedics and four emergency care doctors attended the scene. He added that “a large crowd of young people [were] pushing to get into this event”. It was “not specifically a young person’s event... not a teenage event” he said. A major police investigation is underway and a major incident was declared last night by the emergency services. In a further statement, ACC Hamilton said: “First and foremost my thoughts this morning are very much with the families of the three young people who passed away and those who were injured. It is heartbreaking that an event which should have been fun for these youngsters on St Patrick’s night should end in such a terrible tragedy. “Detectives have now launched an investigation in conjunction with Environmental Health at Mid Ulster Council to try and establish what happened. “Events unfolded shortly before 9.30pm last night when the Northern Ireland Ambulance Service received a 999 call with reports of people injured outside the hotel. They declared it a major incident and police, Fire Service and Environmental Health then also attended the scene. “Police arrived within two minutes of the call form the Ambulance Service and quickly secured the scene. We made an urgent appeal via social media to parents of the young people to come and collect them from a Friends and Family Centre which was established in the nearby Glenavon Hotel. “Our investigation is at an early stage, and while the exact cause of the incident is still unknown, there are reports of a crush at the scene and initial enquiries indicate that a large group of young people were waiting to enter a disco. We also have reports of some fighting after the incident commenced and at least one person has reported that they were assaulted. “We are continuing to interview people who were there to establish the full facts and I would appeal to anyone who witnessed what happened to contact police on 101 ext 52014. We need parents to talk to their children this morning and encourage them to come and tell us what happened. Please do not post photographs or videos online. Please share them with the PSNI. “I would also ask motorists who have dash cam footage, as well as anyone who captured the incident on their mobile phone through photographs or video, to upload them to Major Incident Public Portal https://mipp.police.uk/”. Dr Nigel Ruddell of the Northern Ireland Ambulance Service said one of the critically injured teens was found in the venue and two outside. He said five teens were injured in total, two of them non-critically. One of them was discharged at the the scene and the other taken to hospital for treatment and is expected to make a full recovery. Police posted on Twitter shortly after the incident, urging parents to pick up their children from the venue on Drum Road. Brendan Marshall, a local photographer, said the Greenvale Hotel was well known for teenage discos. “(They have them) on special occasions such as St Patrick’s Day or around Christmas time,” he added. The Northern Ireland Ambulance Service (NIAS) said it had received several calls from about 9.30pm on Sunday and sent two rapid-response paramedics, two doctors and five emergency crews to the scene. And Sinn Fein deputy leader Michelle O’Neill called it a “parents’ worst nightmare”. Former Democratic Unionist MP for South Antrim, William McCrea, said: “We’ve got to see what lessons can be learned from this tragedy.